You can create destination feature types dynamically from any transformer. Each output port of a transformer connects to a newly-created feature type. 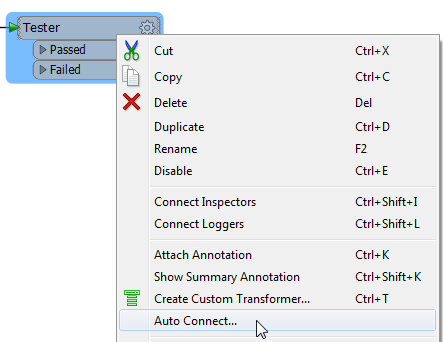 Right-click on a transformer and select Auto Connect. 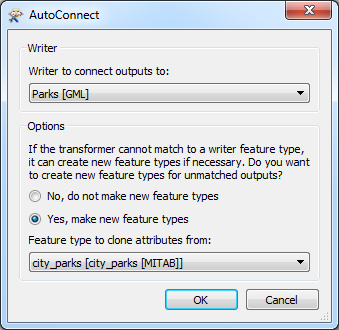 Writer to connect outputs to: Select the writer that will contain the new feature types. Select Yes, make new feature types. 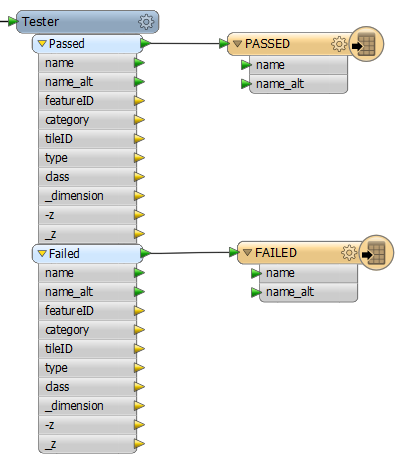 Feature type to clone attributes from: Select the feature type from which to create the schema for the new feature types. This can be any existing reader or writer feature type. Click OK. The new feature types are created and connected to their respective transformer output ports. Any matching attributes are auto-connected as well.